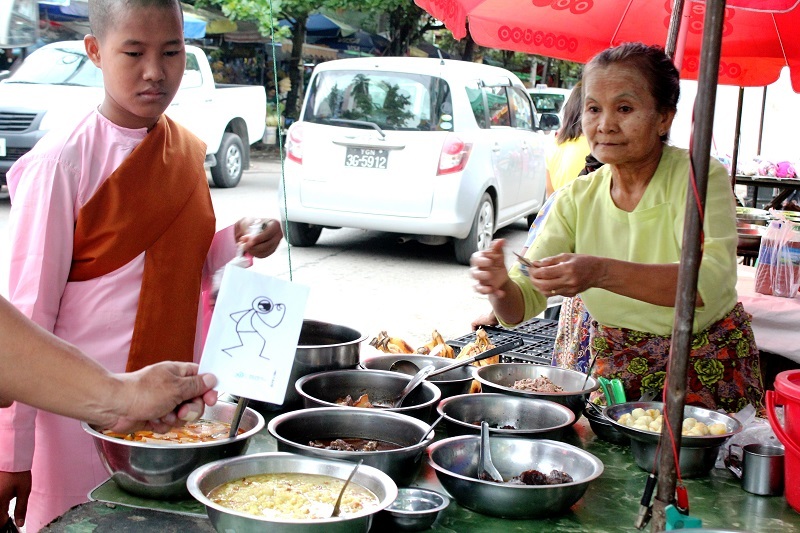 12,000 kilometres away, Elyx arrives in Myanmar, also known as Burma. Arguably one of the most beautiful countries in the world, Myanmar is located in Southeast Asia and is bordered by Bangladesh, India, Laos and Thailand. The UN has had a sizable presence in Burma since the country’s independence in 1948 and has provided support throughout the country’s transition. Elyx was greeted by our colleagues from the UN Information Centre and was told a brief history of the country. Elyx had of course heard about Aung San Suu Kyi, Nobel peace prize laureate for her lifelong struggle for human rights. 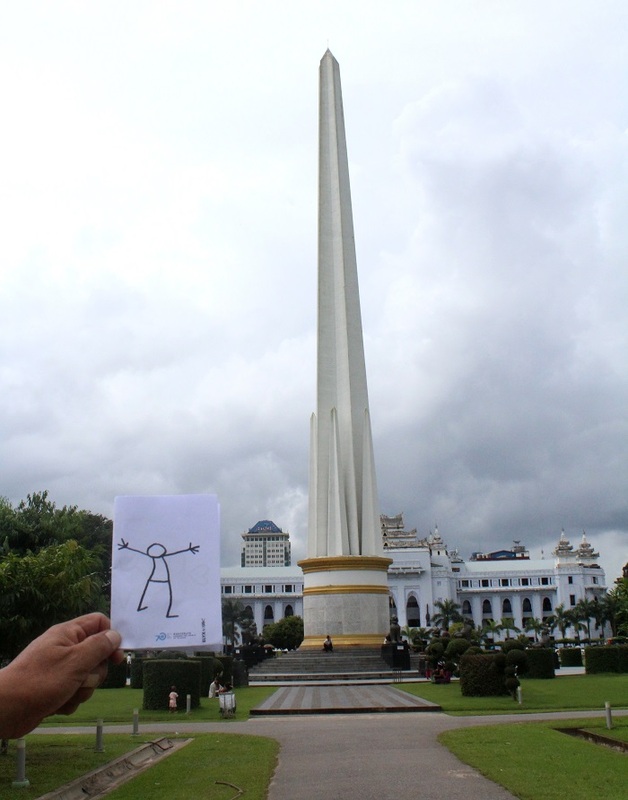 Elyx at the Independence Monument at Maha Bandoola Park in the centre of Yangon. Myanmar, a former British colony, gained independence in 1948. In the background is the City Hall. (Photo Credit: UNIC Yangon). The more than twenty UN entities present in the country work under the leadership of the Resident Coordinator. UNDP colleagues told Elyx about some of the challenges they have helped respond to, such as Cyclone Nargis in May of 2008, which was the worst natural disaster in the country’s history. It caused 138,000 deaths and a lot of destruction. More recently, a series of earthquakes, and flooding caused by Cyclone Komen has affected more than 1.5 million people. Elyx then met Red Cross volunteers, who have assisted with the evacuation of over 380,000 people from flood-stricken areas and have distributed essential relief items, such as hygiene kits, kitchen sets or blankets, to 74,000 people in the 12 flood-affected regions. Elyx attends a Myanmar cultural show in Yangon. The “theatre” keeps to the traditional style and is built of bamboo and thatch. 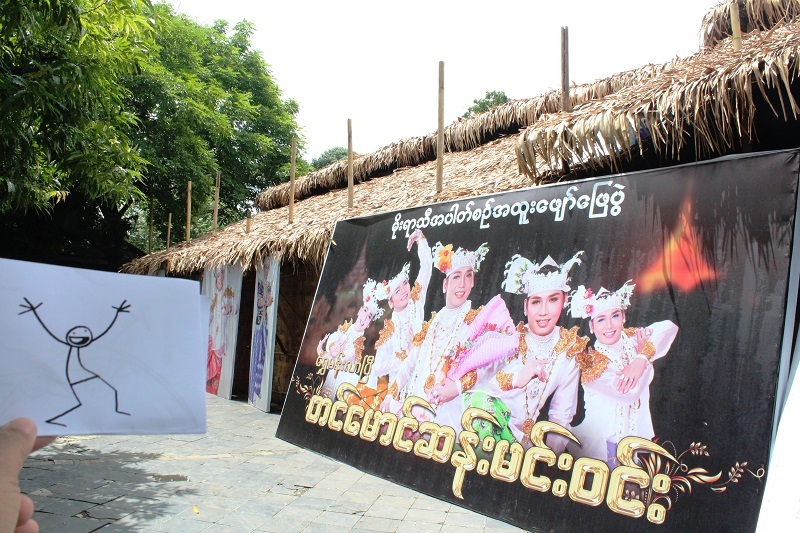 The show was performed by the “Shwe Mann” dance troupe in a fundraising event for the victims of the floods which have recently devastated many regions. (Photo Credit: UNIC Yangon). Not only is Burma beautiful, it is delicious! Burmese cuisine strongly features fish and a different variety of vegetables and rice. At the food stalls, Elyx made new friends, which explained to the UN digital ambassador the basics of the cuisine and the influence on the cuisine from neighboring countries. Although the food market was colorful and fruits and vegetables abundant, Elyx had kept in mind that 36% of the population still lives below the poverty line and close to 3 million people are considered ‘food poor.’ Since 1994, the World Food Programme (WFP) has implemented several food assistance interventions to improve nutrition, food security and livelihood for the most vulnerable populations in remote areas throughout the country. Elyx enjoys hawker food in Yangon. (Photo Credit: UNIC Yangon). 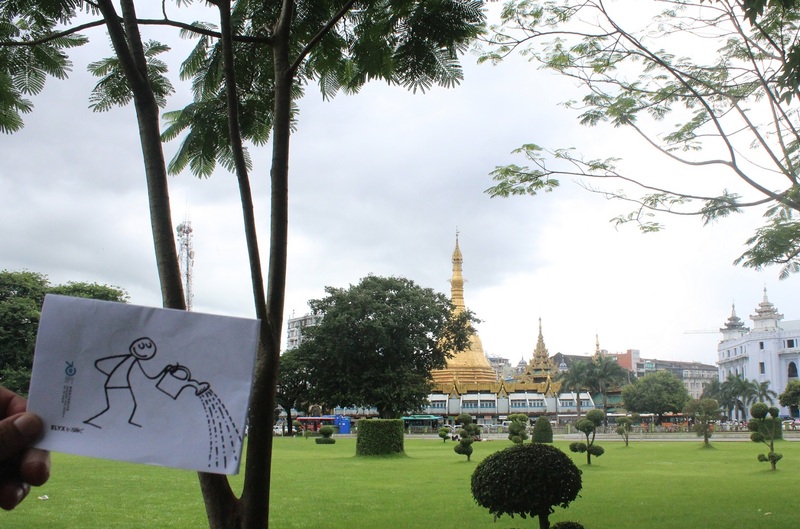 Colleagues had kept the best for last: introducing Elyx to some of the treasures of the Burmese landscapes, such as the Maha Bandula Park in the centre of Yangon, across which lays the High Court, the iconic Sule Pagoda and the City Hall. In the 19th century, the site where the park is located was swampy and called Tank Square. It was then cleared and became a public recreation ground. Elyx was able to play with kids at a playground before taking a walk around in the Kandawgyi Natural Park to admire the artificial lake. 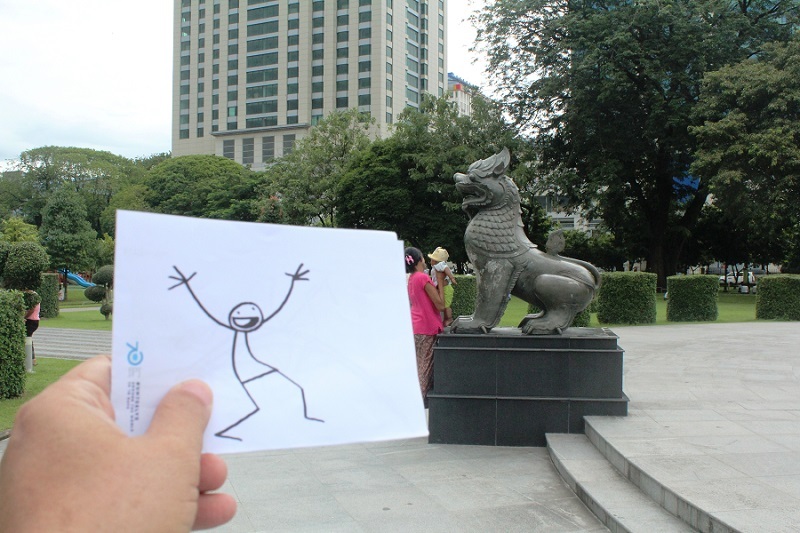 Elyx at Maha Bandula Park in the center of Yangon. (Photo Credit: UNIC Yangon). The digital ambassador’s journey to Burma ended with a “pilgrimage” to the house of former UN Secretary-General U Thant, the third Secretary-General of the UN from 1961 to 1971. Since 2012, the house has become a museum and a centre for public events, such as lectures and seminars related to the former Secretary-General and his work. 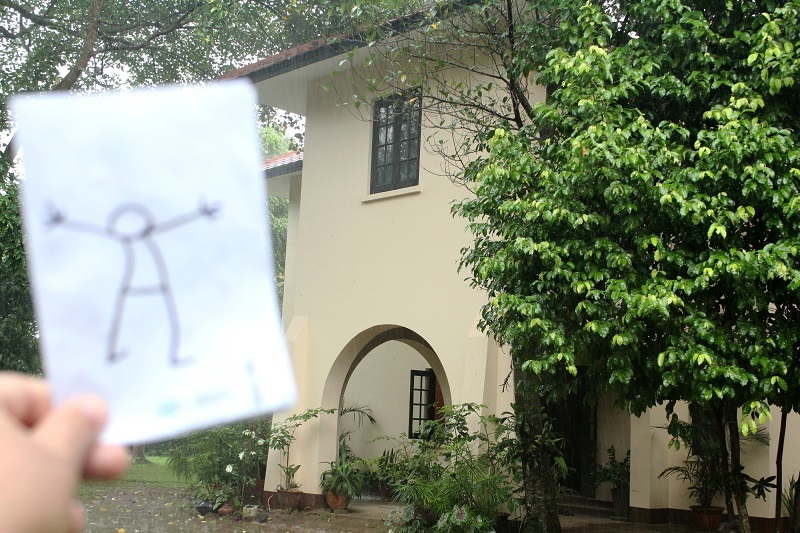 Elyx visits U Thant’s house. (Photo Credit: UNIC Yangon).